Your Receptionist Isn't a Social Media Expert - Here's How to Delegate the Right Way - Powered by technology, our unique program uses software and algorithms to conduct a custom online competitive edge! In the world of social media marketing, they say that content is king. This may be true above all else, but if you haven't invested properly in the content, then you're doomed to fail. Your social media strategy is far more important these days than just about any other marketing or advertising you can think of. This means that if you've decided to delegate social media managing to your receptionist or intern as an afterthought, you're already doing it wrong. A successful social media strategy can make your brand skyrocket, which is why you need to have a social media expert on board to make that happen. Here's how to delegate your social media strategy to get the best possible results. Before you can even think about hiring a social media consultant, you need to know where you're going wrong. What are your Facebook, Twitter, and LinkedIn presence looking like? Are customers engaging with you on social media? Are your paid-for ads getting any traction whatsoever? How many likes are you getting? All of these need to be considered, as a marketing person will have to work from there. You can't delegate your social media effectively if you aren't aiming for anything specific. A social media expert will, of course, help you set the right goals to grow your company, but you'll need to set some of your own if you want to find the right talent. At the simplest level, you might find that you want to be achieving 1,000 new likes on Facebook per month, or that you need to triple the number of clicks your ads are getting in order to break even. Have these goals in mind when searching for a social media specialist to help. The next step is the most important one; hire a social media manager! They're the ones with the know-how to boost your reach and make sure you have a comprehensive, informed strategy. The average salary for a (decent) social media manager is around $54,000, so make sure you can budget for something at that level if you want real results. A social media expert at this level will be able to do the research and tell you exactly who should be doing what to boost your brand. They'll also be able to get you the kind of high-quality content that people will actually engage with. Once you've managed to hire a social media marketer, the next step is the strategy. Chances are, if you were delegating social media to your receptionist, you don't have any strategy to speak of. Change this by offering your consultant some manpower from members of your team, so that their talents can be used most effectively. Integrate social media into your workflow by arranging weekly meetings with your social media manager to track progress, highlight failings and assess opportunities. Once you have a real strategy to focus on, the rest will fall into place. 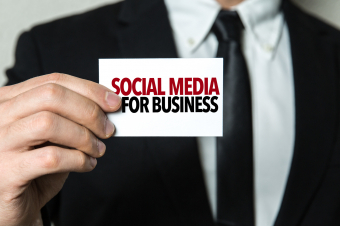 To learn more about why you need a social media expert to grow your business, or to explore the social media management options available to you, don't hesitate to get in touch with us today for a consultation.